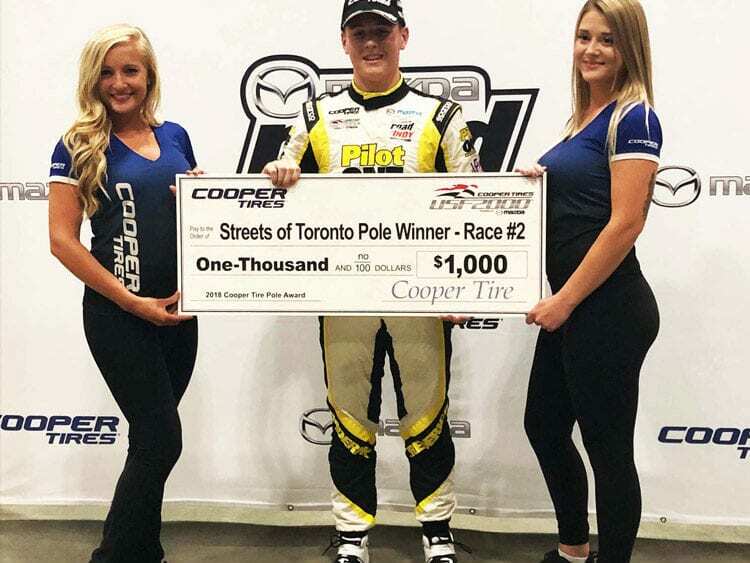 Kaylen Frederick, from Potomac, Md., finished third at the Streets of Toronto for the fourth podium in four races for Pabst Racing (following his recent 2nd place at Lucas Oil Oval and double 2nd place podiums at Road America). 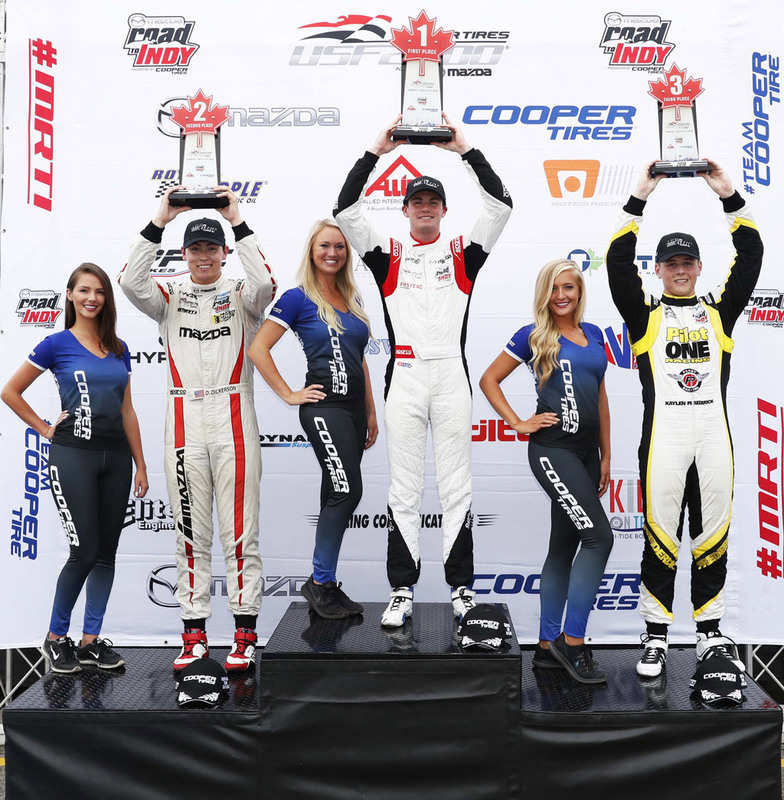 The recent points haul elevated Kaylen to 2nd place in the 2018 Mazda Road to Indy USF2K Championship! Qualified: Qualified 1st/Lap Time 1:10.770 Seconds – A full second under track record! A chaotic final five-minute session of USF2000 qualifying ended with series sophomore Kaylen Frederick’s pole position and a new track record of 70.770 Seconds – A full second under the track record! 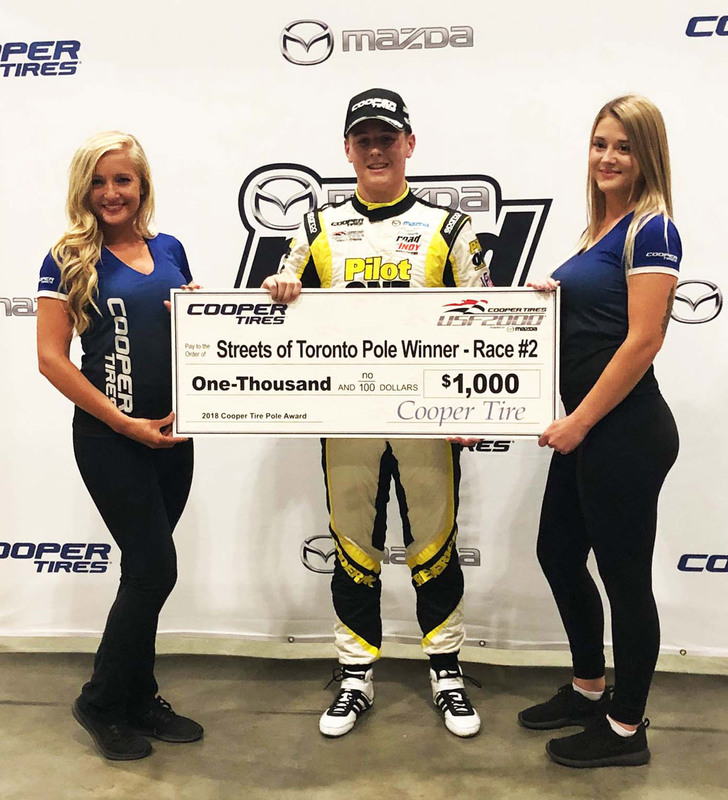 Maryland teenager Kaylen Frederick (Pabst Racing) posted the fastest time in qualifying on the Saturday before the Cooper Tires USF2000 Grand Prix of Toronto Presented by Allied Building Products. Unfortunately, his hopes of translating his maiden pole into a long overdue first victory evaporated at Turn 3 on the opening lap when he left his braking a fraction too late while attempting to hold off Keith Donegan (BN Racing). In the same turn, Donegan locked brakes and traveling past Kaylen made contact with the wall on the outside of Turn 3. Although Frederick rounded Turn 3, he found his trajectory blocked by the pinned car of Donegan, collided and took damages on his front wing. Once free, Kaylen took chase in 15th position. Following a front wing replacement, Kaylen worked his way up to fourth when another late braking overtake in Turn 3 led Kaylen into the escape road. 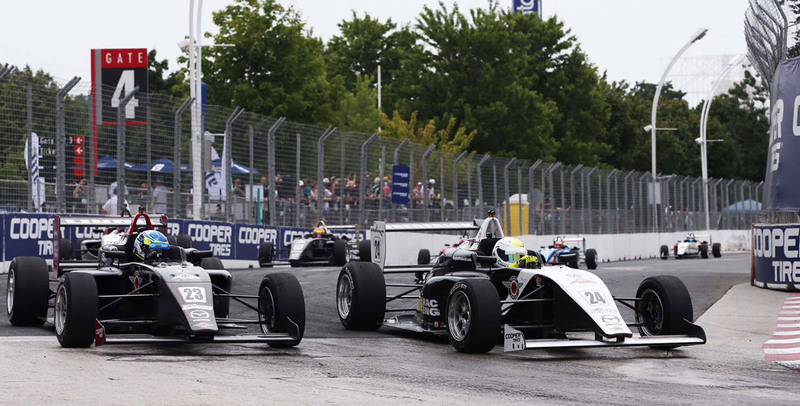 Re-entering in 12th position in the closing minutes of the race, Frederick worked his way up to eighth position securing valuable points and retaining his 2nd place in the USF2K 2018 Championship. 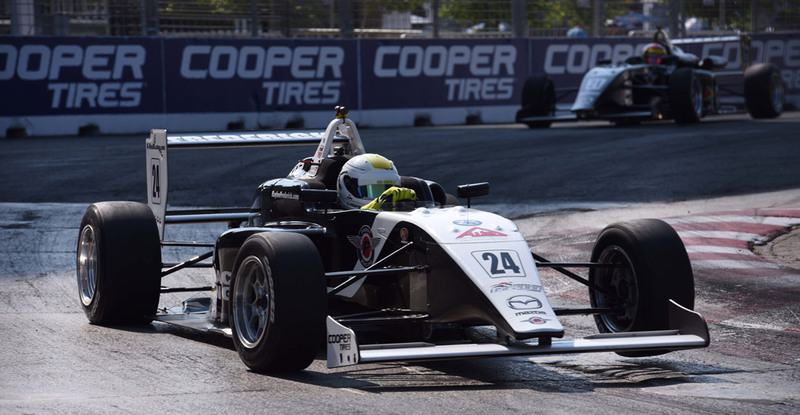 Up next, Kaylen and Pabst Racing’s USF2000 Series team will compete at the renowned Mid-Ohio Road Course, July 26th – 29th. 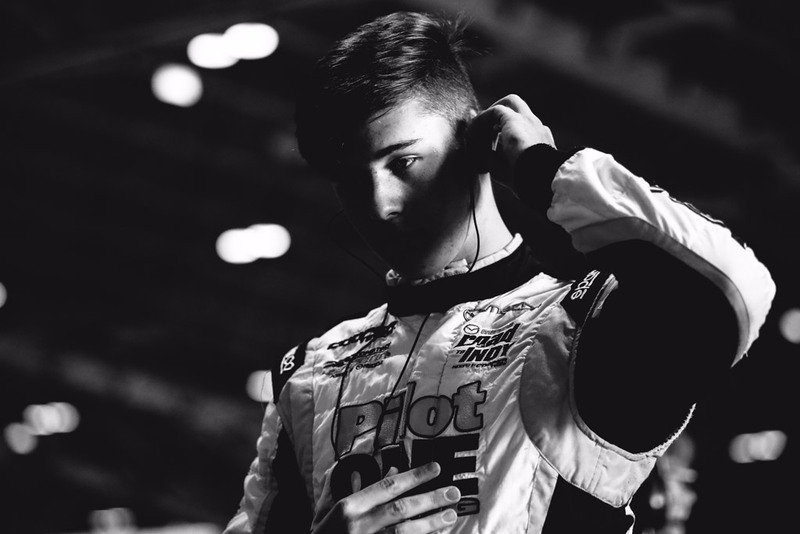 Follow Kaylen Frederick and Pilot ONE Racing on Instagram, Twitter and Facebook to stay up-to date on the latest news and developments.